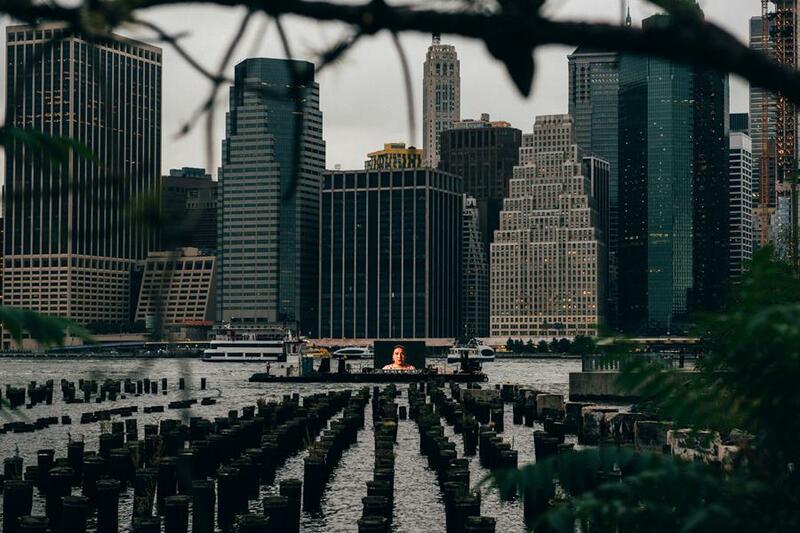 "One can't paint New York as it is, but rather as it is felt." My first exploration of New York was in 2000, and Georgia O'Keeffe's words echoed my experience and excitement to be surrounded by the New York City skyscrapers immortalized in her paintings. But beyond the splendor and scale of the city for a young French teacher from the green Basque Country, my most memorable moment took place in the New York Public Library. While I studied philosophy in high school, it's really while I was at college and existential questions surfaced in my consciousness, that I dived into the world of philosophy. For those who received my Newsletters last year, you may remember that Albert Camus is a reference for my understanding of the World. But Plato (428 BCE - 348), the ancient Greek philosopher, a student of Socrates and founder of the Academy, had an unparalleled influence on my life. Stepping into the Stephen A. Schwarzman Building, I directed myself straight to the Ancient Greek and Latin section of the Library. Surrounded by thousands of books I could sense, in one of the most modern and advanced cities in the World, the overwhelming feeling of wisdom and knowledge coming from the past. Randomly I grabbed a book. And by pure coincidence, or not, I extracted from the shelf one that was among my favorites. Ever. "The Symposium", a "Platonic" dialogue, written around 380 BC. : Socrates, invited to a feast, finds friends. During the evening the guests decide to take turns answering the question "What is love? ". It is here that we find the famous myth of Aristophanes. I invite you to learn more about this myth. 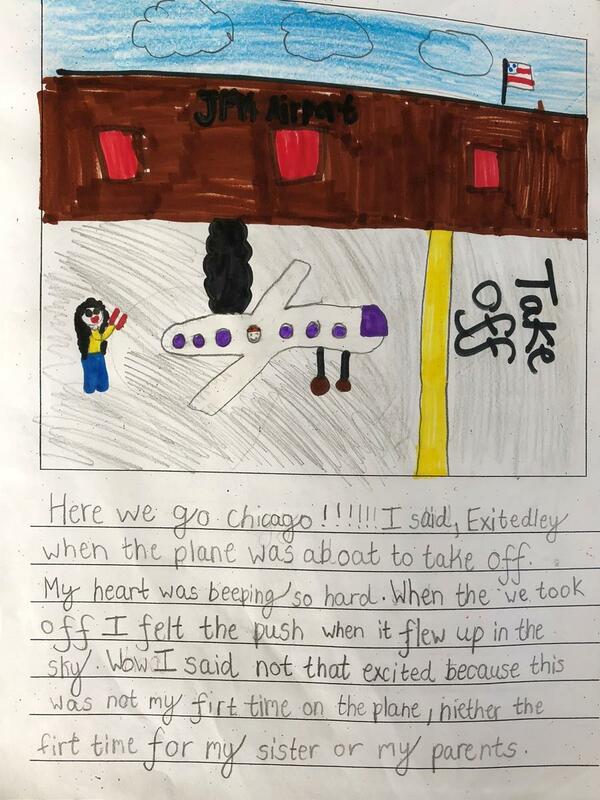 I could write for hours about it! But Aristophanes is not the subject of my letter. Today I am more focused on one of Plato's famous students, Aristotle. Aristotle was one of the first reputed ecologists. For him "Nature never makes anything without a purpose". Anamixander (610-546 BC): probably the first theorist of biology, believed that humans developed from animals and that living organisms change and adapt to their environment. Menestor (circa 500 BC): known as the first botanist, used the theory of opposites to found a botany in which he studied the role of the plant on the environment. Plato (427-347 BC) was recognized for his historical analysis of the landscape and its evolution. Hippocrates (460-370 BC) was the first to study the Influence of environment and diet on health and disease. At that time, philosophy and science were intimately intertwined. With Galileo, modern science became autonomous and philosophy differentiated itself from the natural sciences. Philosophy was then limited to studying the sciences under a philosophical aspect, and no longer the natural sciences. The consequence was a virtual disappearance of natural philosophy, and at the same time of the philosophical study of natural phenomena. The philosophical study of the natural environment, and the place of man within it, has appeared in another form in the second half of the twentieth century, from the moment when the first signs of the global ecological crisis appeared as we know it today. And now is not the time to linger in the mesmerizing New York Public Library for the sake of it. It is time for ACTION. As we know, "The UN's Intergovernmental Panel on Climate Change has warned of the increasing dangers of climate change and has spoken of the urgency to find solutions before it is too late. At the present rate, greenhouse gas emissions are rising and the world is on a path to raise the global average temperature by more than three degrees Celsius this century." In this Newsletter, we want to celebrate our Planet. 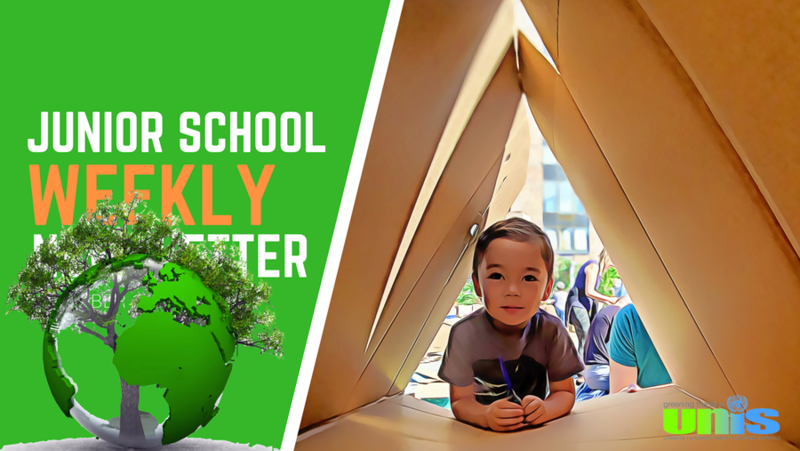 In this Newsletter, we want to celebrate the UNIS students, teachers and parents who are standing for a Greener School. In this Newsletter, we take part in this imperative "Greening the Blue". We cannot underestimate what YOU can do. We are privileged. We, the UNIS community, can make a difference. And so many of US can lead change at the highest level. WE can bring to the United Nations, and your children, our students, hope for a better World. A Sustainable World. We know too much not to act, and we have no right to be afraid of the light. We honor in this Newsletter those in our community who are raising their voice and leading the change. UN Day is coming up on Friday, October 19, and the theme "Greening the Blue" will continue beyond UN Day as we strive to live our mission of "shaping a better world; peaceful, compassionate, and sustainable". When we Green the Blue, it actually makes the world more peaceful, because we address, protect, and share the resources that are often at the root of conflict. We make the world more compassionate, by extending compassion, understanding, and collaborative solutions concerning water, habitat, and all that live downwind and downstream of us. We make the world more sustainable by reducing our carbon footprint, preserving fresh water, and creating sustainable cities and communities. How can each of us get involved and make positive change today? Here are some resources that kids, youth, faculty, administration, and parents can all use to discover and create positive change. We want to thank the children and parents who came to celebrate the Cardboard Challenge on this beautiful fall day. A very special thank you to Anne Donah, Javier Alvez, Michelle Bertrand, Louise Wales, UNIS teachers, Middle School and Tut students who worked so hard to make this day special. And bravo to our children for their imaginative creations dedicated to greening the blue! 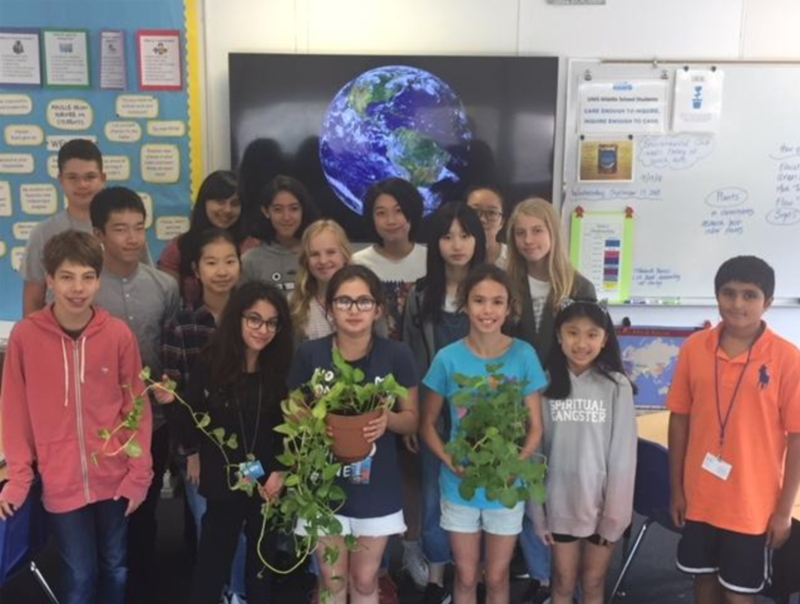 In line with the school's mission of building a better world and the United Nations Sustainable development goals, the Junior School has a group of student leaders that focus on environmental issues in our community. This group, the Junior School Green Team, among other responsibilities, lead the way in monitoring proper use of resources and waste management in the school. The team also organizes and participates in different environmental programs both in school and in the city, including the MillionTreesNYC program. Two students from each J3 and J4 class are elected each term (Fall and Spring). The Green Team will meet for the first time on October 9. Stay Tuned! Middle School Environmental Clubs ( EC ) is a club started by students over 15 years ago. Our goal is to create a sustainable and healthy earth. "Everyone can, Everything counts" is our motto. 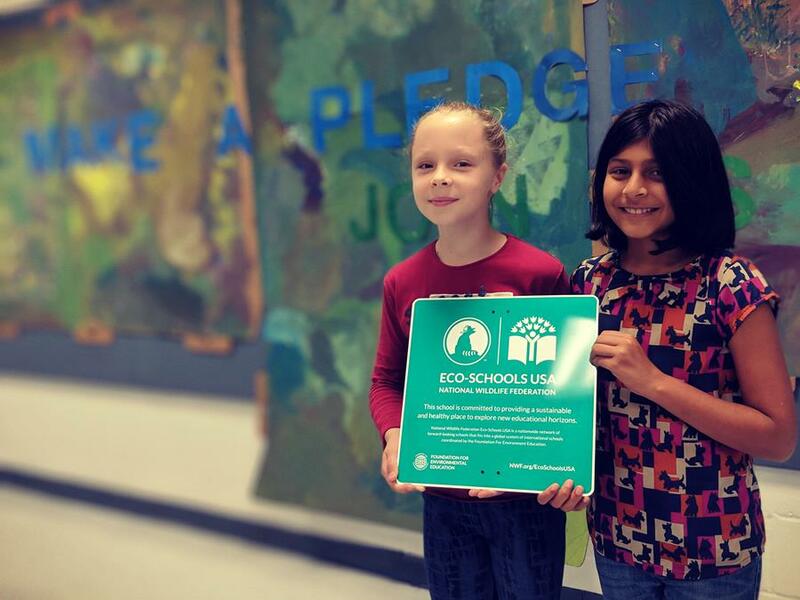 The Environmental Club is an organization that is dedicated to learning, sharing, implementing, and supporting sustainable ideas within the Middle School. We currently have 25 members from M1 to M4 in our Schoology Group and we are always open to new members or visitors. We meet every Wednesday at lunch in Ms. Miglierina's room. For the 2018-2019 school year, we are setting up lots of plans in order to address some environmental issues. For example, we like gardening and planting flowers. We have thought about creating planters outside. We may try to provide plants for every middle school advisory class because this would be a great way to reduce indoor pollution. Because of the ability of photosynthesis, plants are able to transform carbon dioxide into oxygen, and therefore reduce the air pollution. We also want to do art projects to educate about climate protection or create recycling challenges or compost demonstrations. People need to see more to understand. For a second example, the tinfoil in the cafeteria is not actually tinfoil, but people assume that it is actually tinfoil so they throw it in the recycling bin. It is actually paper so it is supposed to get thrown in the trash. We really should be careful about this stuff and realize what it does to our earth🌍. And obviously, plastics play an important role in damaging the environment. We would like to try our best to reduce the plastic that is used at UNIS. We want to encourage the use of sustainable materials in our school like metals, glass, wood, and bamboo. Finally, we want to reach out to other people and other schools. We would like to go out and try a hands-on experience with cleaning up pollution in the water or a park. We are interested in researching and learning about solar and wind power and other renewable energies. We are taking it seriously, but we also like to have fun and look for solutions. And, the students in the Environmental Club previewed and compiled this list of videos on Sustainability and Environmental Issues. The link is below. They spent a major part of a year completing this project. After 25 year at UNIS and having worked with different Green groups at the school, I am welcoming the new initiatives regarding Zero Waste and sustainability. We have come a long way at UNIS but we still need to improve and educate everyone in many ways to truly help to reduce the waste that is flooding our planet. Femke and I have both been attending UNIS since kindergarten. Because of this, we have been immersed in the efforts of the UNIS community for a very long time, and have been educated on fundamental values of the school, one of which being sustainability. In our first years at UNIS, "Reduce,Reuse,Recycle" signs were plastered on the walls of many of our classrooms, and we were taught to follow such ideals. For a long time, we thought that this was what sustainability was, and we felt that UNIS had adhered to its values. Yet, through our studies in our Environmental Systems and Societies class in 11th and 12th grade, our understanding of the need to reduce waste and educate our community on such a pressing issue has become even more prominent than it ever was before. We both recognize the efforts of the Junior and Middle school, but we feel that the Tutorial house can do more to make UNIS a more sustainable school. We feel that if the tutorial House students and faculty could make greater efforts to recycle properly and put any food waste into the compost bin as well as reducing the use of paper, there would be a significantly positive impact on our school. We particularly welcome the collection of organic waste at UNIS. This will help reduce the methane production in landfills tremendously. Femke has always been passionate about Environmental Science and was a classroom representative for the Green Team for most of her years in the Junior and Middle Schools. Through the IB Program, Femke studied UNIS's sustainability and food waste management, and measured the amount of compost that UNIS produced. Through this, she found out that although UNIS has made large strides forward in the reduction of food waste there is still a lot that needs to be done. For example, students need to be more conscious of what they are throwing into each bin. 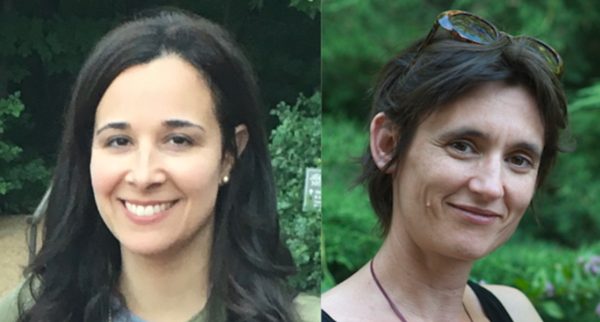 Femke and I encourage students and parents to be avid environmentalists and to think not only on a large scale, but also on a small scale: how can I be more environmentally conscious in my everyday life? This may start with printing double sided to save paper, throwing away your lunch in the right bins, or turning off the lights when you are not using them. Femke and I strongly believe that UNIS is on an upward trajectory, and with the cooperation of parents, students and teachers, we can achieve our goal to become a zero waste school--something that would have never been possible when Femke and I enrolled in UNIS in JA. Femke and I will continue supporting efforts towards a zero waste school through motivating our peers. The UNIS Parents Sustainability Group supports UNIS faculty and staff to engage students as advocates for sustainability, both locally and globally. We aim to make UNIS an exemplar school on sustainability, as it is part of our school's DNA. We suggest and support events to gather the UNIS community on sustainability issues and solutions. One of our key projects for the 2018-2019 school year is to promote the proper sorting of items in the cafeteria. As New York City offers more and more resources to help schools move toward zero waste, like compost and recycling collection, we all must do our part to separate organics and recyclables from trash. On UN Day, look for some new sorting signage by the cafeteria bins and classroom compost collection activities! Sorting is not an easy task for us parents either! But let's walk the talk! 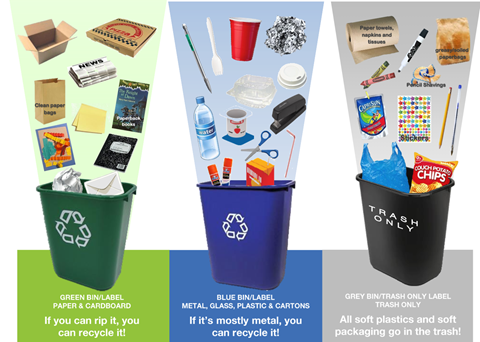 Here is a recycling chart for you and a 6-minute video you can watch with your child to learn how to sort! If you would like to join our group of occasional volunteers, please email us at martinellitorres@gmail.comand sidonie.ruban@gmail.com. 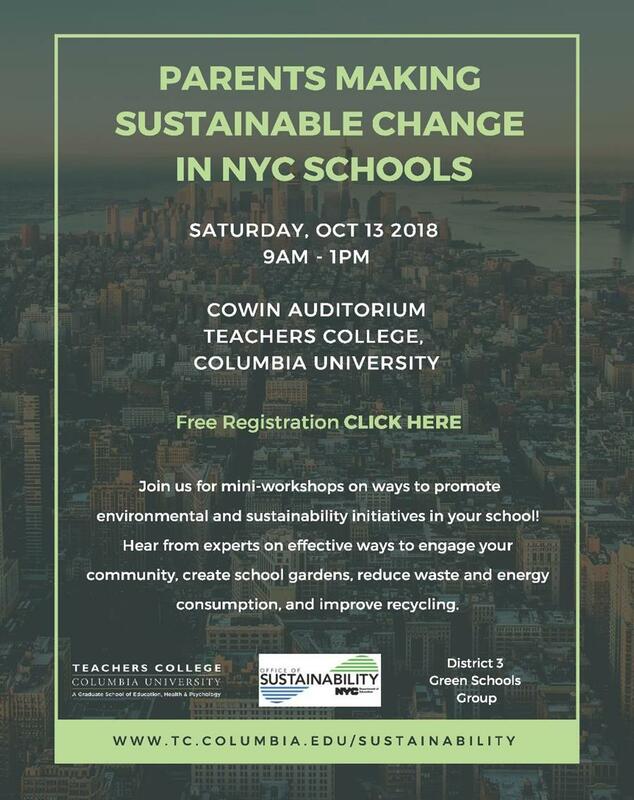 The District 3 Green Schools Group is working with Columbia University Teachers College and the DOE Office of Sustainability to host a city-wide conference for PARENTS to give them tools and connections to make sustainable change in their children's schools. Parents are an often untapped resource in the school sustainability arena and we would like to help give them resources, ideas, connections to groups, as well as networking with other parents, to empower them to make sustainable change. 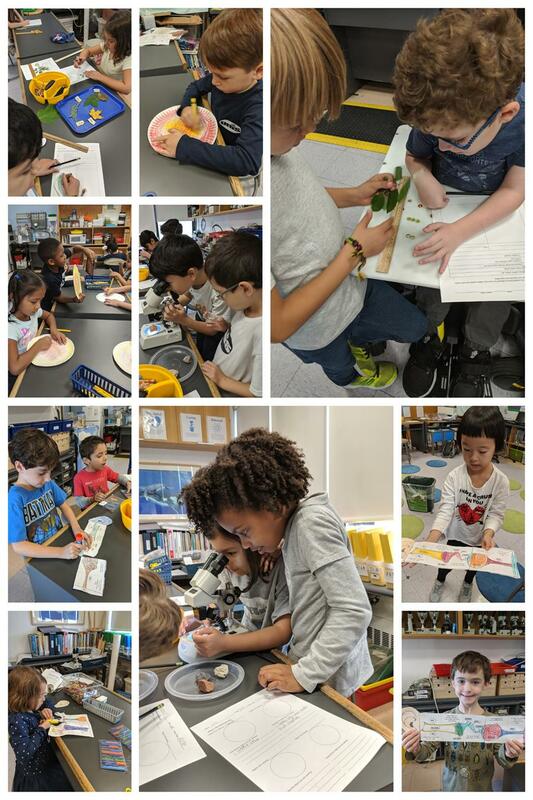 J2 Mercurio describing and comparing different leaves from the school garden, JA Vitner making sun models to start our unit, J3 Heller using stereomicroscopes to examine rocks and fossils, J1 Powell studying the parts of the human ear by making a model... today we are celebrating our young scientists... and also our writer Lucia from J3 Sacharow. 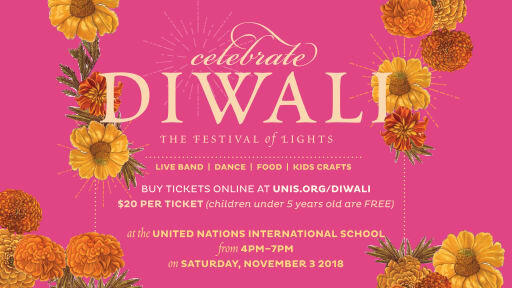 Ticket sales begin today! Please note there are a limited number of tickets, so please purchase soon to ensure your attendance. In honor of the UN conferences, a non-profit art organization commissioned a project that Robert and Fadya Lurie, parents of Jack (M3) and Hannah (J3), thought might be of interest to our community. An article about the project, published in The New York Times on September 24th, can be found here.